As the curtains drew on a captivating musical performance by pianist Keiko and Final Fantasy XIV theme song vocalist Susan Calloway, excited fans shuffled out of the Rio All-Suite Hotel & Casino convention hall to rest up for day two of Final Fantasy XIV Fan Festival 2018. Meanwhile, the press remained for one final Q&A opportunity with Final Fantasy XIV director Naoki Yoshida to glean some insight on what players can expect when its latest expansion, Shadowbringers, launches in early Summer 2019. 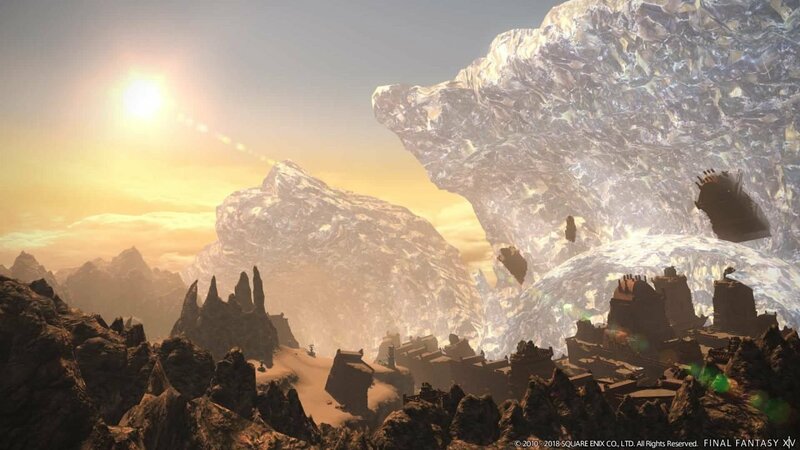 Press: In the past, whenever an expansion was revealed for Final Fantasy XIV, it was immediately clear which in-game region would serve as the stage for each new adventure. Was the omission of that detail for Shadowbringers a deliberate choice? Naoki Yoshida: The development team has already decided where players will be headed in Shadowbringers, but we think it is too early to reveal that tidbit of information. Final Fantasy XIV, although an MMORPG, is a heavily story-driven title. We still have Patch 4.5 [the finale of the Stormblood patch series] on the horizon, so we would like players to absorb that story first before we get into detail on where they’re headed next. We’re sure there is already a ton of speculation out there on message boards and the like, and we encourage everyone to join in on the fun of guessing what lies ahead! Press: With the battle system adjustments coming to Final Fantasy XIV in Shadowbringers, can you tell us a little about what you have planned for the future of PvP? Yoshida: As you know, we have the The Feast Regional Championship 2018 North American Finals happening on the Fan Festival stage this weekend. We would like everyone to focus on enjoying that first, and then we will reveal more information in the Letter from the Producer LIVE Part XLVII scheduled for later that day. Press: You announced that you would be ceasing support for 32-bit Windows operating systems upon the launch of Shadowbringers. How will that benefit development going forward? Yoshida: We have two main reasons behind this decision. One, we found that only about 1.8% of our subscribers are playing in a 32-bit environment, so the impact is rather small. Two, because the maximum memory that OS can utilize is smaller, it will eventually create a technical bottleneck in the future. We don’t want to be constrained in developing new content, whether it be more elaborate cinematic sequences or more demanding game mechanics and interface elements. Press: Given the announcement of new data centers for North America and Europe, are there plans to extend support to the Oceanic region? Yoshida: We have certainly talked about that, but we haven’t pitched the idea to our president yet. We know that some players in that region are still suffering from latency issues, and we do want to address it when we can. Press: Can you tell us more about the NPC-centric “Trust” system? Is it designed to make Final Fantasy XIV more closely resemble a traditional, single-player Final Fantasy title? Yoshida: Final Fantasy XIV is an MMORPG first and foremost. As such, this feature is not intended to turn it into a single-player RPG. 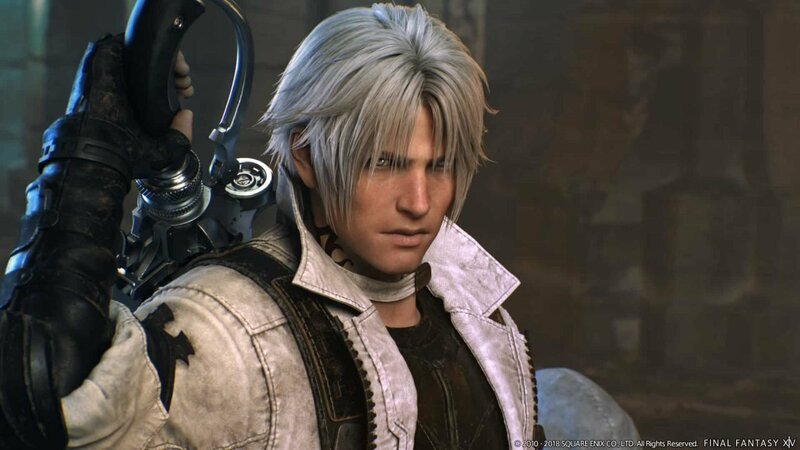 However, there is no denying that there is a subset of Final Fantasy fans who have expressed their discomfort with trying XIV because it requires playing online with other people. 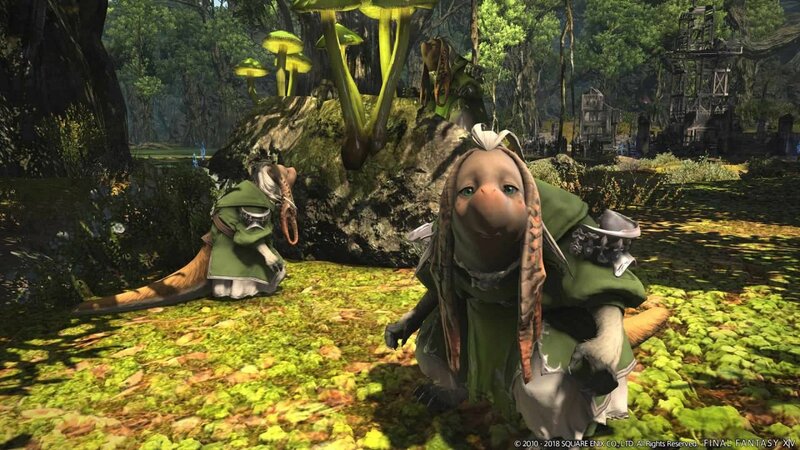 With the Trust system, these players can experience the story of Final Fantasy XIV and learn party dynamics by playing with their favorite NPCs. Then, once they feel ready, they can shift into playing with other people. The challenge level of content using Trusts will steadily rise, and so it will not always be the easiest option to play with them exclusively. Press: The current raid meta is something of a “solved puzzle,” wherein certain party compositions are preferred by the community for clearing difficult content. I am concerned that some jobs are being shunned by high-level players as a result. How will you address this in Shadowbringers? Yoshida: We actually don’t feel like certain jobs are being shunned. In fact, we make it a priority to diligently attend to job balance, and that is something we will continue doing into Shadowbringers and beyond. We already have ideas on how we want to adjust existing jobs to accommodate the balance shift that will inevitably happen with the launch of Patch 5.0. More information to this end, including detailed breakdowns on how every job is going to change, will be revealed much closer to the launch of Shadowbringers. Yoshida: First of all, there is a user agreement that all players have to agree to before they can even start playing Final Fantasy XIV. Within that user agreement is a clause that prohibits any unacceptable conduct to this end, including behavior that infringes upon laws. Any players who violate those rules will be punished by banning or other penalties. This applies no matter which end of the exchange a player is on. Everyone who plays Final Fantasy XIV is subject to investigation for violating the terms of service, period. Because Final Fantasy XIV is a worldwide game, there is the potential for players from many different regions to interact with one another, and we have legal support available to assist us in investigations to this end in many countries. If you see someone engaging in this type of behavior, we ask you to report it. Press: Why and when did you decide to create the Final Fantasy XIV Fan Festival? Yoshida: This Festival kicks off our third world tour, and we are very grateful for the opportunity to be holding these events. Even before I accepted the task of helping to rebuild Final Fantasy XIV some eight years ago, I was a fan of MMORPGs like World of Warcraft. I saw other companies holding events like Blizzcon, and watching those player communities come together to celebrate their beloved games was, to me, a hallmark of their success. If I had suggested holding a Fan Festival back when I first started working on XIV, I’m sure I would’ve been met with laughter. So before I even broached the subject, I made it my goal to rebuild this game and express my appreciation to the fans who have supported us throughout its history. The Fan Festival is one way I can do that. More to the point, an MMORPG requires financial support to remain in continuous operation. Running a Fan Festival allows us to simultaneously connect with our fans and continue the cycle of showing support with these types of events. Being able to make big announcements here is one of things that makes Fan Festival so exciting and worth doing. 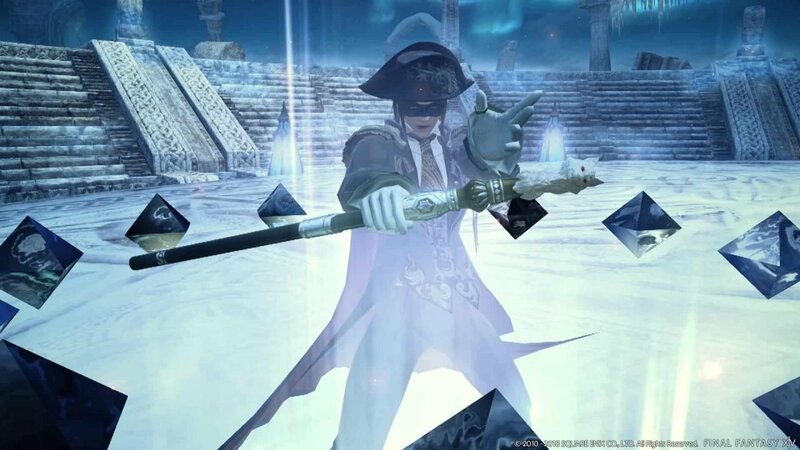 Press: Blue Mage is the first “limited job.” Can you tell us more about what that means? Yoshida: I’m very sorry, because I desperately want to speak about this, but I have to ask you to wait for the Letter from the Producer LIVE Part XLVII. Please hold out until then! Press: I was dismayed to learn that there will be no “Ultimate” encounter in Patch 4.5. What is your plan for Ultimate content going forward? Yoshida: The truth is, we actually did have an Ultimate encounter planned for Patch 4.5. We had even started development on it, but we heard many players express that they were fatigued by “The Weapon’s Refrain (Ultimate),” possibly due to how intense the mechanics are. We think it’s a bit much to be putting fights like that out every second patch or so, and with that in mind, we decided to shift our resources into moving the next Ultimate encounter into Shadowbringers. The rush of clearing a fight that difficult really does have an almost addictive quality, doesn’t it? I can see why some players are clamoring for more. Press: Can you give us more details on what endgame activities Shadowbringers will usher in for crafters and gatherers? Yoshida: With the increase of the level cap from 70 to 80, Disciples of the Land and Disciples of the Hand will naturally gain access to new actions. It just so happens that one of the biggest applications for those actions will be the rebuilding of Ishgard [the hub city featured in Heavensward]. Although the Dragonsong War at the core of Heavensward‘s story has finally come to an end, there is still a socioeconomic class divide present in Ishgard society. I can’t give any spoilers right now, but as you progress through the new rebuilding content, you will see how those classes come together and interact moving forward. As I previously stated, this will be endgame content geared towards expert players, so it will be quite challenging. Our goal is to give dedicated players the opportunity to craft items that will give them true bragging rights due to their extreme rarity. I think it’ll be quite unlike what you have seen in Final Fantasy XIV up to this point. Press: Do you have plans to add any more crossover content, like the battle against Rathalos from Monster Hunter World? Yoshida: The potential is certainly there, but we don’t have anything concrete in the works right now. We will definitely revisit the idea once Shadowbringers is out. Press: On the subject of battle system revisions, you announced that MP and TP will be merged into a single resource. Are there other user interface changes in the works as well? Yoshida: As you are no doubt aware, MMORPGs feature quite a few elements that players have to keep track of mid-battle: damage-over-time effects, ability cooldowns, buffs and debuffs, etc. Adding in yet another layer of resource management would be very challenging for the development team. To your point about MP and TP being merged, that isn’t necessarily a monumental task from an engineering standpoint, but we have to be extremely careful with how it will affect job balance. Even so, the party window still needs an overhaul, and the UI team is giving it their all to make sure everything comes together nicely. Press: Final Fantasy XIV is available in many languages, but it still lacks a Spanish localization. Are there plans to create one someday? 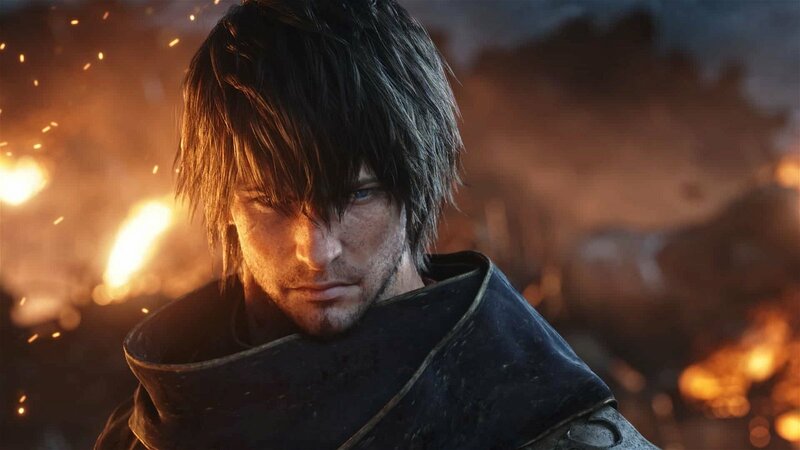 Yoshida: Square Enix has certainly translated games into Spanish in the past, but as an MMORPG, Final Fantasy XIV is something of a special case. When a standalone game is localized, work is finished when the product is released. FFXIV, on the other hand, is an ongoing service that is updated constantly. Therefore, we would need a dedicated team to work on a Spanish localization alongside our development team. We do have external partners who are capable of Spanish localization, but at present, we don’t have the kind of resources necessary to establish ongoing support for a Spanish version of FFXIV. It is something that we would like to do eventually. Press: Final Fantasy XIV displays an exceptional level of polish, from its audiovisual presentation to the attention to detail present throughout its text and mechanics. However, the content cycle itself has fallen into a predictable pattern: We typically see one to two dungeons, one new Primal [boss] battle, an alliance raid, and other elements within this same framework at a consistent pace. Do you have plans to shake things up in Shadowbringers to keep players on their toes? Yoshida: I get this question a lot. Being able to release content of this quality at such a consistent pace requires a certain rigidity of structure. We do understand that there is a pattern, but that is why we also take pains to release content like Eureka, Heaven-on-High, Palace of the Dead, and the upcoming Blue Mage job. We are indeed making an effort to shake things up when we can, and we would appreciate if the players would recognize and support the development team’s efforts to that end. CGMagazine would like to extend our sincere gratitude to Yoshida-san and Square Enix for facilitating this interview, with special thanks to Adam Pelc at Square Enix Public Relations and Nick Evans at Fortyseven Communications for their invaluable assistance in coordinating our coverage.